Being a member of 'Generation-X' my favorite music is from the 80's, especially early 80's. Much of this music, now called 'retro' was considered to be 'alternative' at the time and played only by radio stations such as Toronto's CFNY. The eighties were also a decade of "One Hit Wonders" - while some bands lasted for some time, many had a massive hit and were never heard from again - most of the mid-80's CFNY playlist falls into this category. Most of my favorites lie in the 80's although there are a few 70's bands here. This is list of my current favorites. 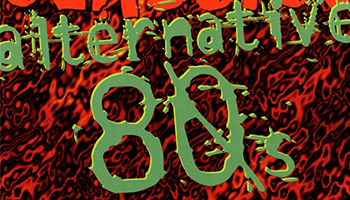 The 80's stuff in this list has endured through the years and _still_ sounds good. There is no particular order to this list although my favorite (if I had to pick one) would undoubtedly be 'Blinded Me With Science'.